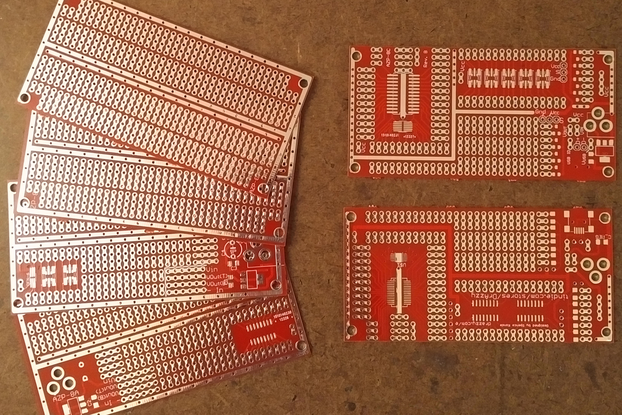 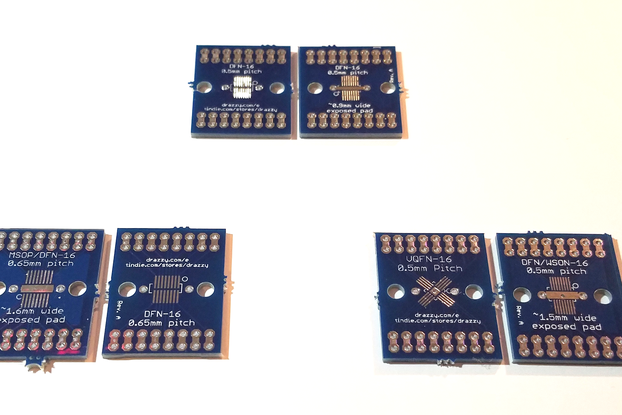 These prototyping boards have two power rails down the middle, and two rails along the outer edge, and a pair of mounting holes on either end. 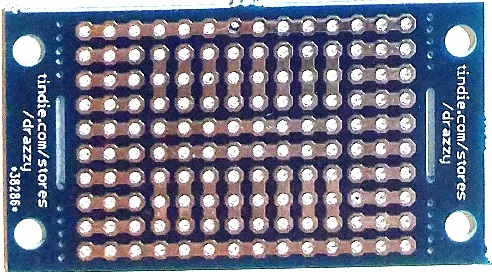 On either side of the power rails are holes in a typical "breadboard" pattern for easy use with parts in DIP packages, while either end has holes grouped in a pattern at right angles to the power rails - these holes are ideal for wiring connections to external devices (for example, the serial programming header on a standalone arduino). 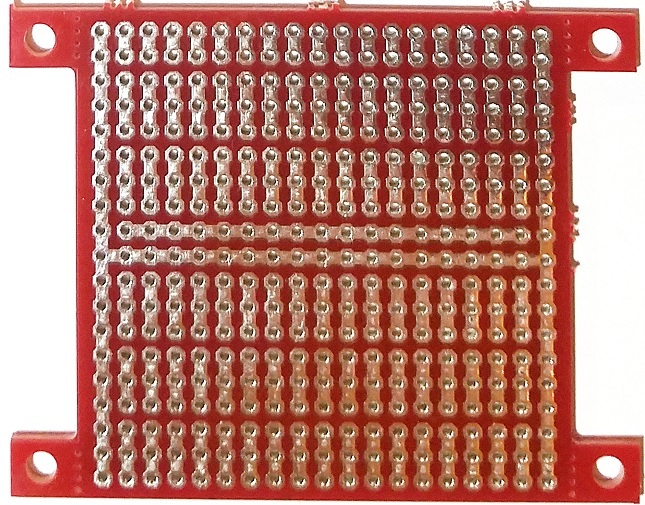 The mounting holes are on a breakaway tab, so either or both pair of mounting holes can be removed. 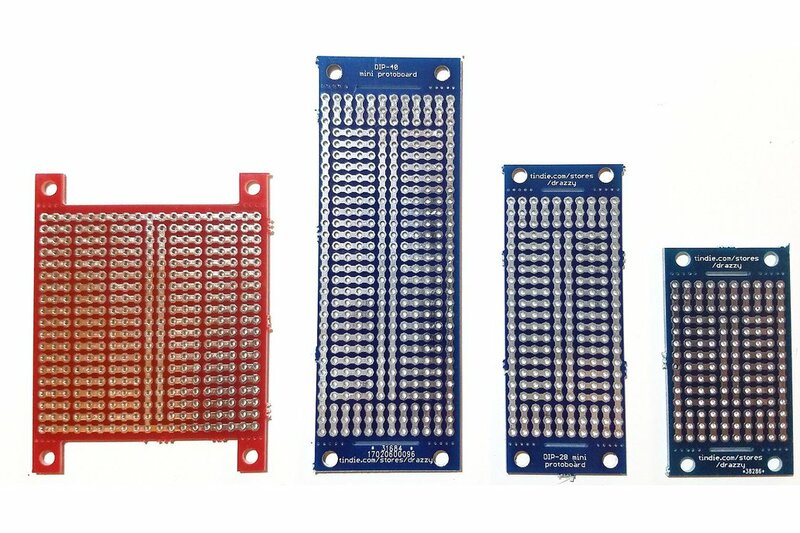 These are great for projects too small to justify using one of my larger prototyping boards, and are ideal for accomodating an IC in DIP package and thier supporting components - for example making standalone Arduino or ATTiny projects (though I also sell prototyping boards designed specifically for the ATTiny84 and ATTiny85), or more mundane tasks using 555's, comparators, or level shifters. 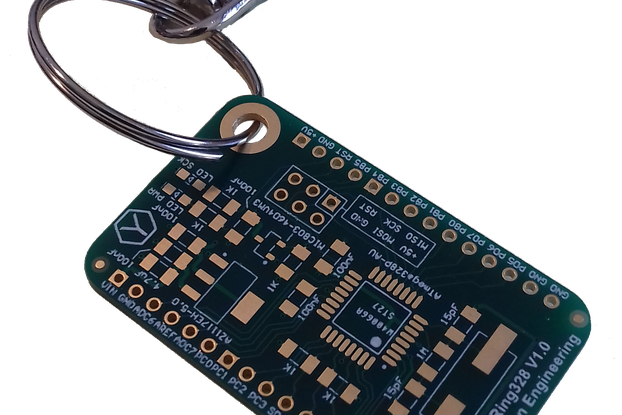 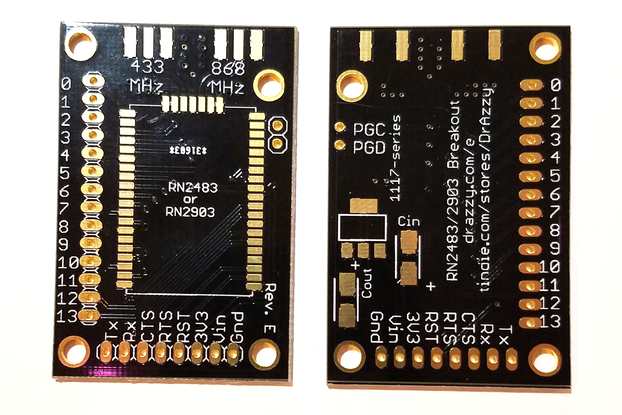 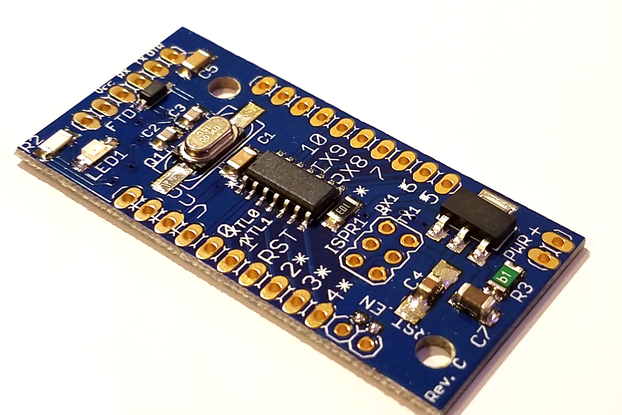 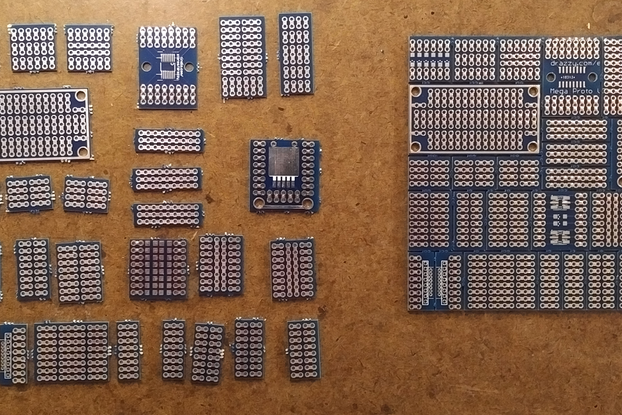 All boards are made on high quality 1.6mm FR-4 with solder mask on both sides, and HASL surface treatment - just like all our other boards. 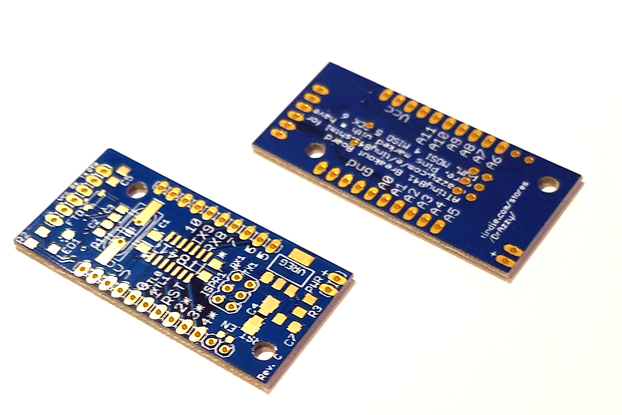 Many manufacturers of prototyping board use the brittle low quality brown phenolic PCB material, and/or leave the copper exposed, inevitably leading to corrosion and degradation in solderability over time. 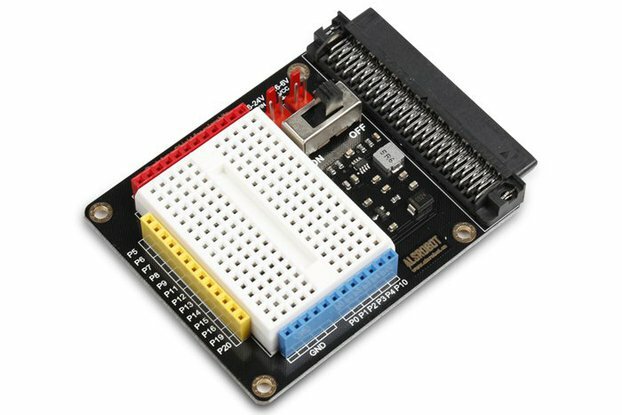 We wouldn't settle for such inferior prototyping board in our own projects, and you shouldn't either! 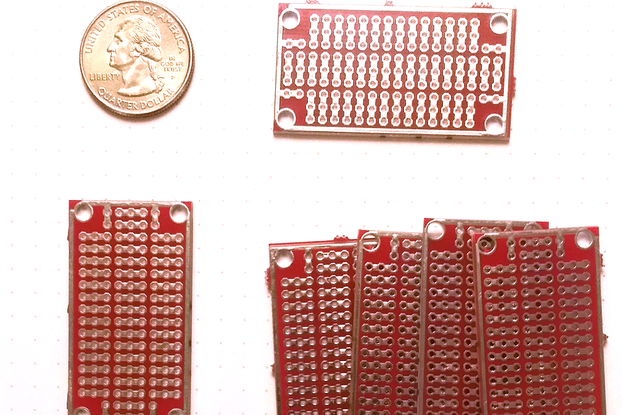 2.5 x 2.0" (2.0" x 2.0" after removing mounting tabs) Unlike the others, this is a larger 2-inch square prototyping board, with four "ears" for the mounting holes. 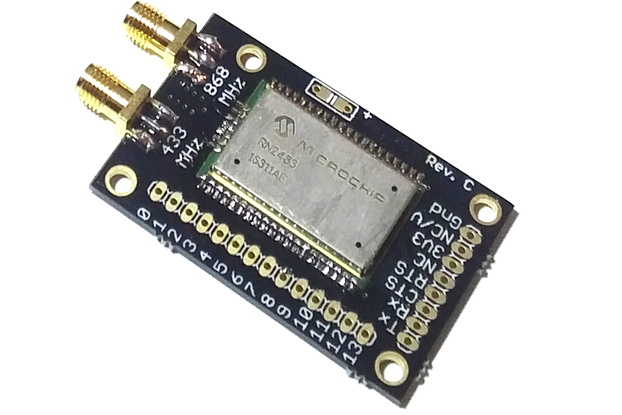 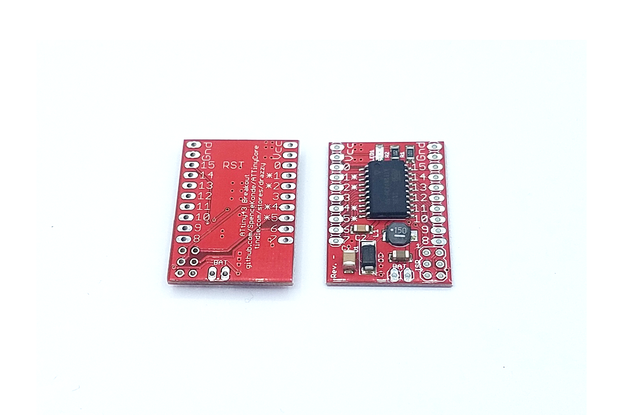 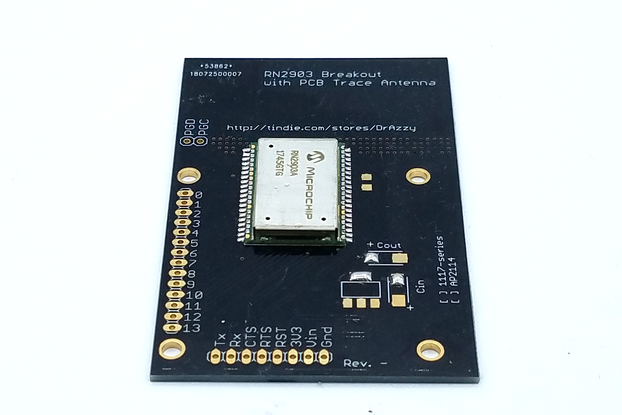 This provides additional freedom in mounting options over the others, in addition to providing enough space for a more complicated, multi-chip circuit.